Radio legend and music cognoscente David Dye. 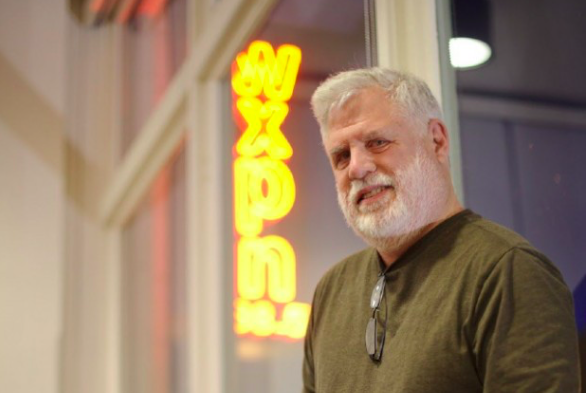 David Dye, the unmistakable voice of NPR's long-running "World Cafe" show, announced Monday that he will step down from his host position to assume a changed role at Philadelphia's WXPN. After a 25-year run on the syndicated "World Cafe," a blend of in-depth interviews, choice tracks and live performances, Dye issued a statement explaining his decision. Dye's presence in Philadelphia radio stretches back 40 years. After launching his career at WMMR in 1970, where he helped lift Bruce Springsteen into stardom, Dye spent time in Maine as a DJ and then returned to Philadelphia. His profile rose alongside Helen Leicht at WIOQ, where he became known as Mr. Friday Night for his weekly dance party show. In 1989, Dye joined WXPN as host of "Sleepy Hollow" before taking over "World Cafe" upon its launch in Philadelphia in 1991. In his new role, Dye will continue hosting WXPN's "Funky Friday" show and serve as a special contributor to "World Cafe," which recently brought on Talia Schlanger and established a Nashville bureau. Next March, Dye will be honored with two celebratory concerts to mark the 25th anniversary of "World Cafe."